If you are looking for an absolutely sweet gift for a girl, this is it. 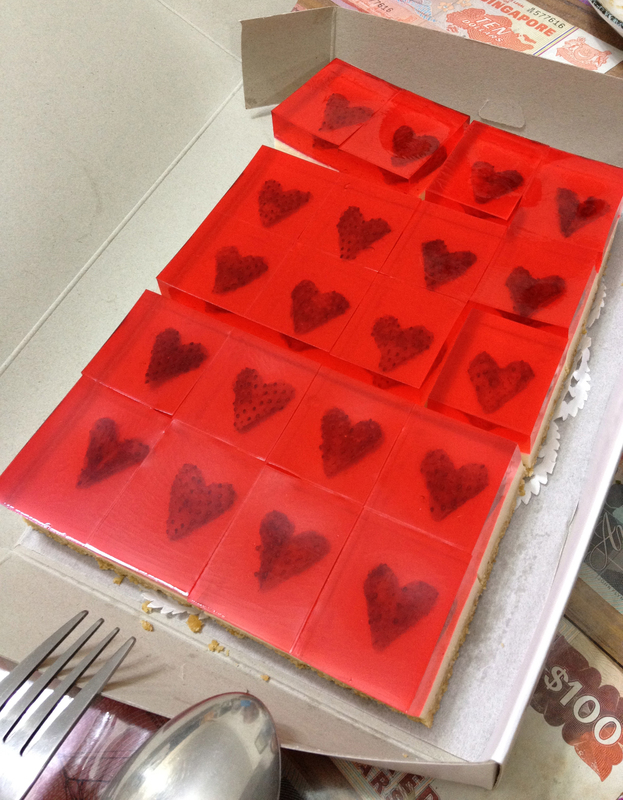 Seriously, what can be cuter and sweeter than a box filled of jellyhearts? I thought it was something that only exists in Pinterest until my brother’s girlfriend brought us a box of it. Imagine how much I gushed about it! This box of 20 jellyhearts can melt anyone’s heart. 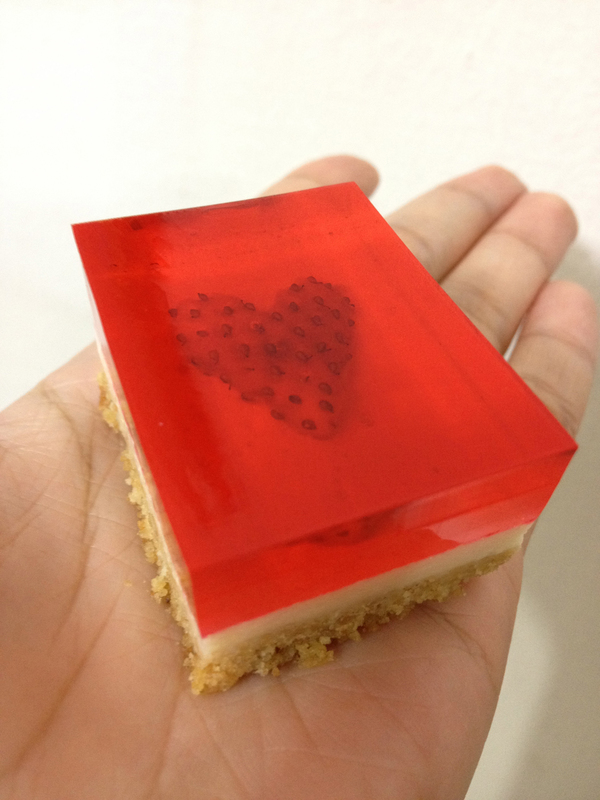 The strawberries are cut to look like hearts and that there’s a layer of cheesecake that’s sandwiched between the cookie crust and strawberry jelly. One piece is not enough! These jellyhearts can only last a few days, as no preservatives are used. One box of 20 pieces costs $18 and you can order it via this phone number: 9459 7711. I don’t think they have a website or provide delivery, so you have to collect it from Novena. I feel like attempting to bake this one day. Will share it if it is a success. 😛 Have a great weekend! 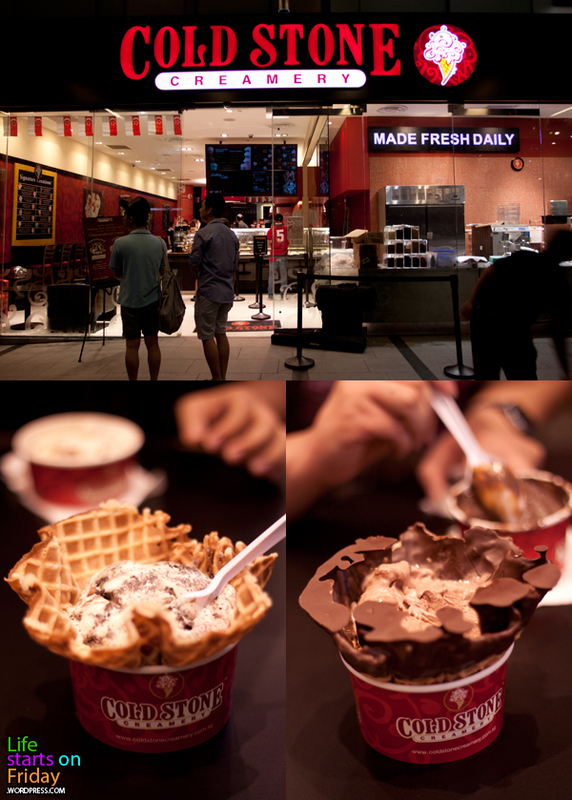 PS: The plain waffle tastes much better than the chocolate coated waffle.